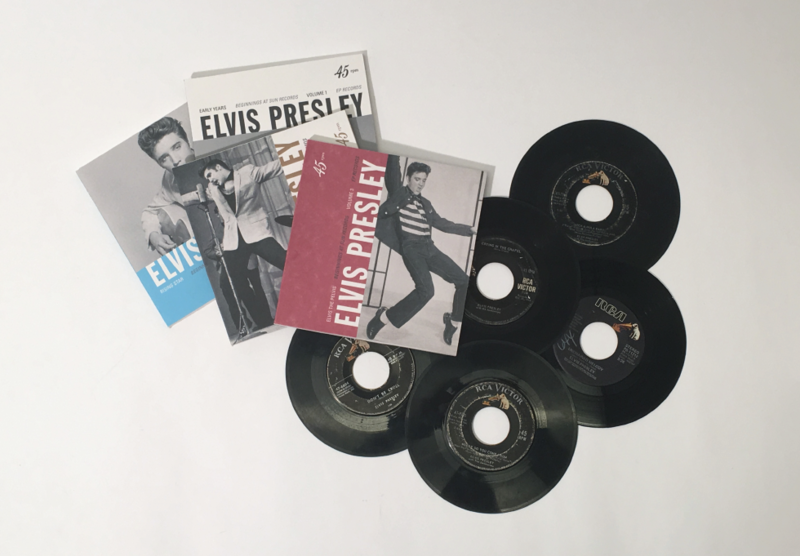 January 28, 2016, marks the 60th anniversary of when Elvis Presley became “King”. 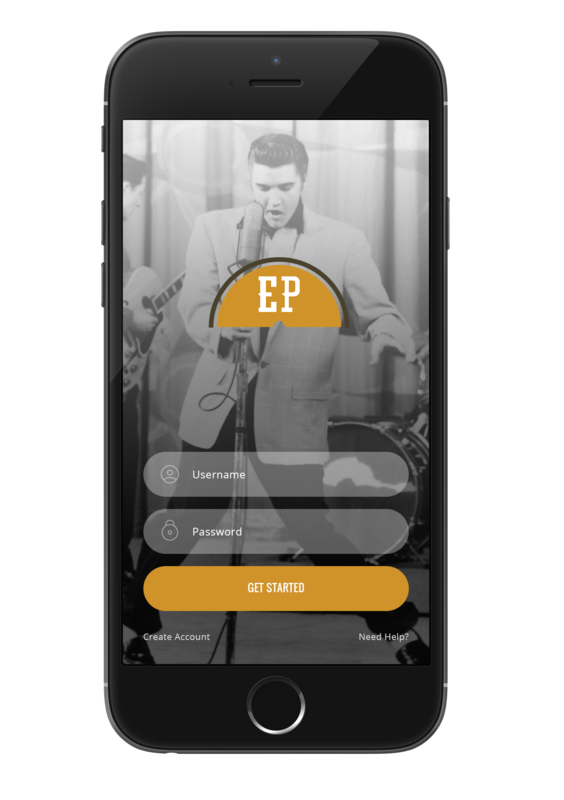 The 21 year old, former Memphis truck driver, made his national debut on the Dorsey Brothers’ “Stage Show”. 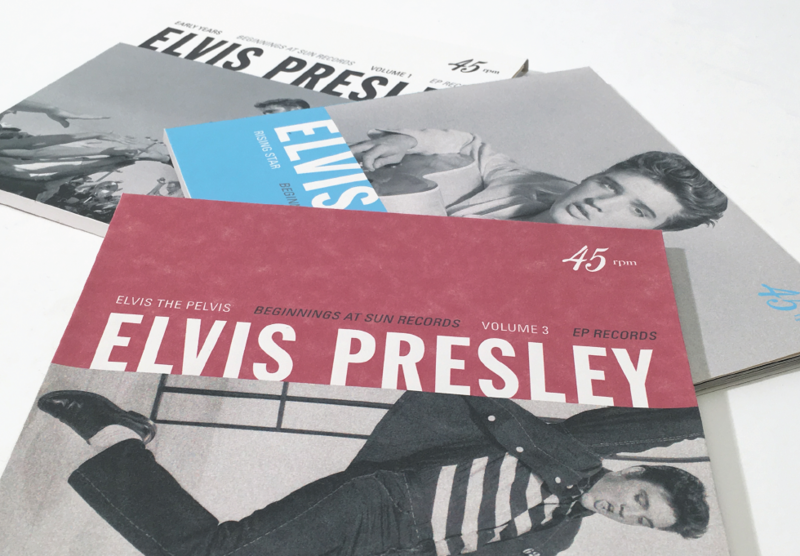 This exhibition, EP, is celebrating that anniversary and is held within the Memory Palace Museum in Memphis, Tennessee. 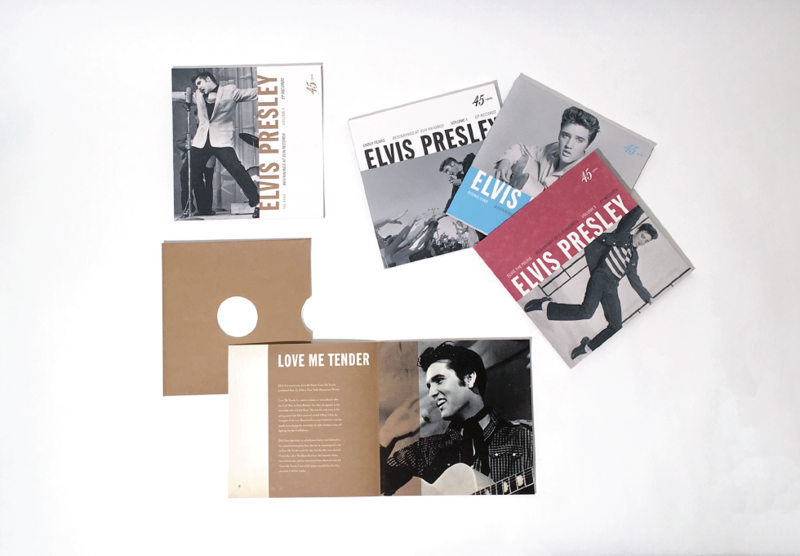 It primarily focuses on Elvis’ early music career. 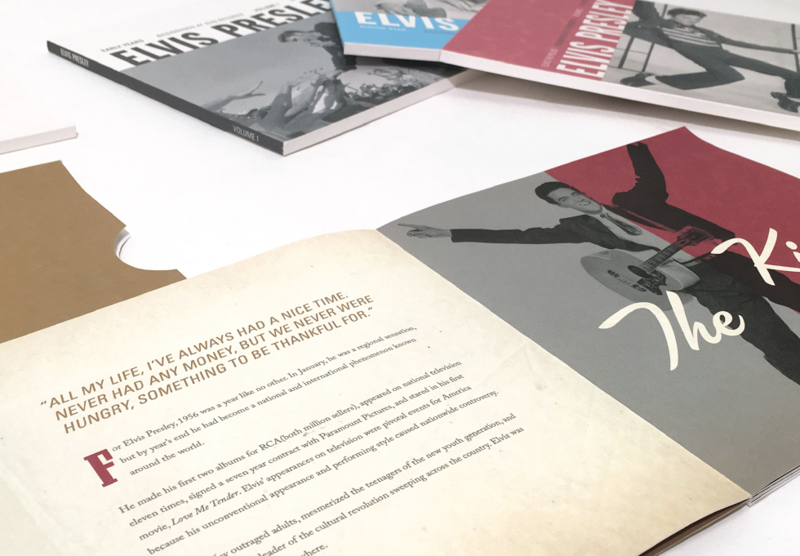 This project consists of an identity for the Memory Palace Museum and the exhibition, a website, a promotional animation, app, and a limited edition box set. 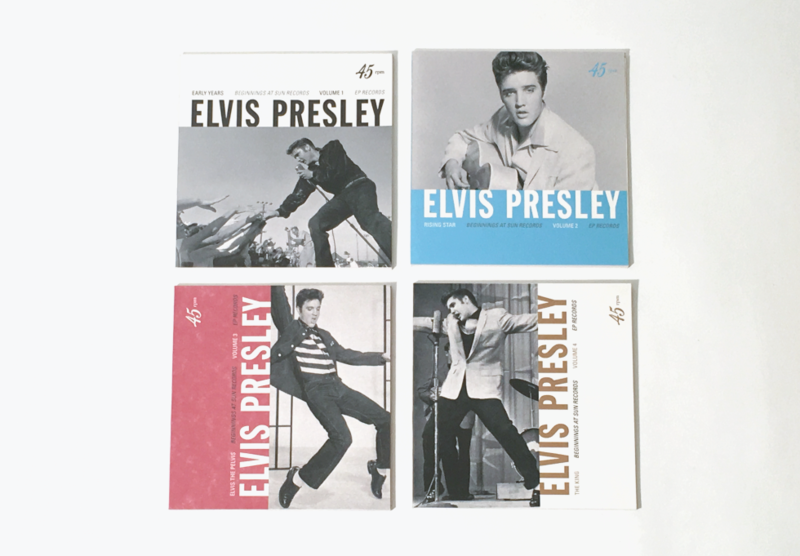 The box set includes four catalogs focusing on Elvis’ early music career, shock factor, and rise to fame. 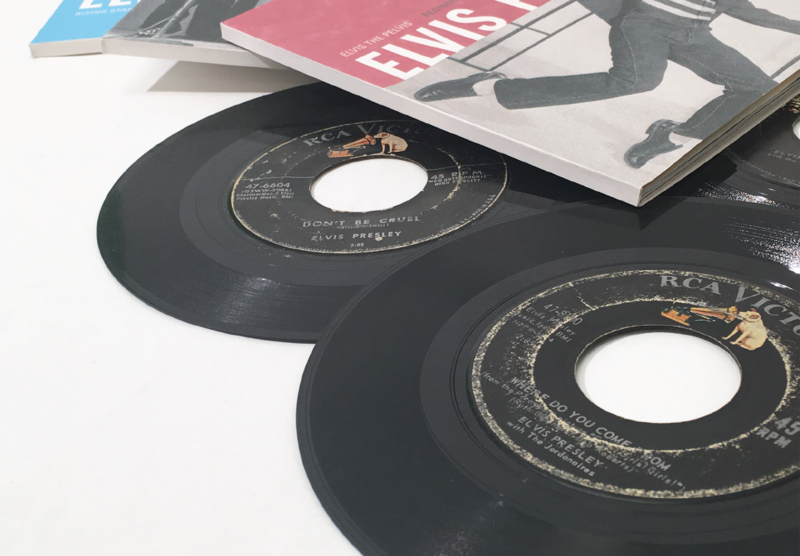 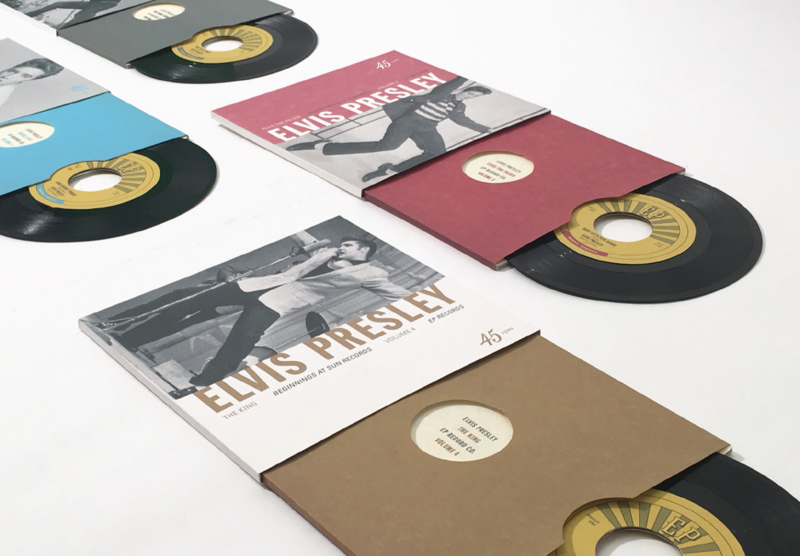 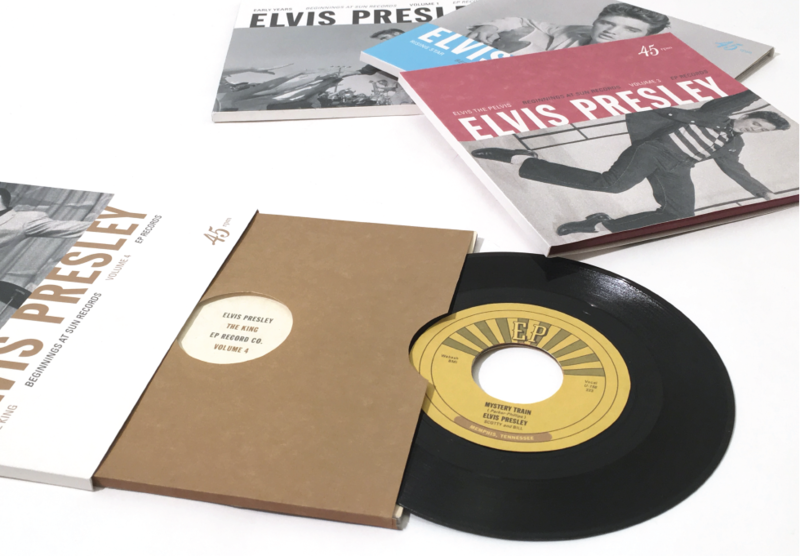 Accompanying each volume, is a signature 45 rpm record from Elvis’ recording days with Sun Records.